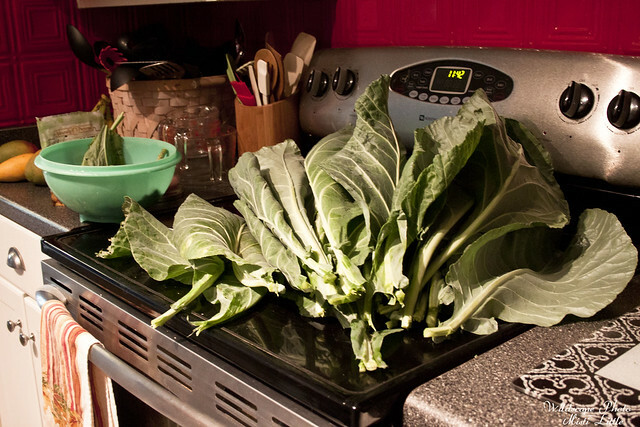 The collards were starting to bolt and I decided that I wasn’t in mood for boiling up lots of collards for dinner one night and instead wanted to do something different. In passing on a blog somewhere I’d remembered reading about collard green pesto. Sure enough there were a lot of recipes and I decided on this one to experiment with. I modified it using walnuts instead of pecans and eliminating the olives, but for the most part I followed the directions. 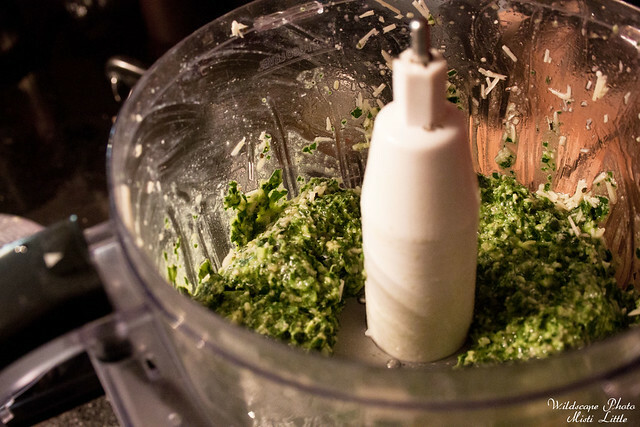 Pesto is forgiving and very pliable, I think you could use any kind of green for a different result. 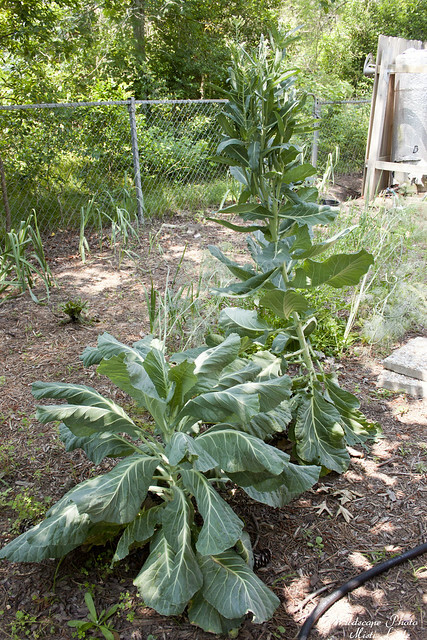 All of the collard leaves were not picked, but I did get a giant handful of them. Once you blanch the greens, they soften up quite a bit and easier to blend. Note, I also took the ribs off of the leaves. That bunch of collards and the rest of the ingredients only made six little tubs! I think I could probably get three more with what is left outside on the plants. I’m trying to let the plants go to seed so I can save seeds for fall use. 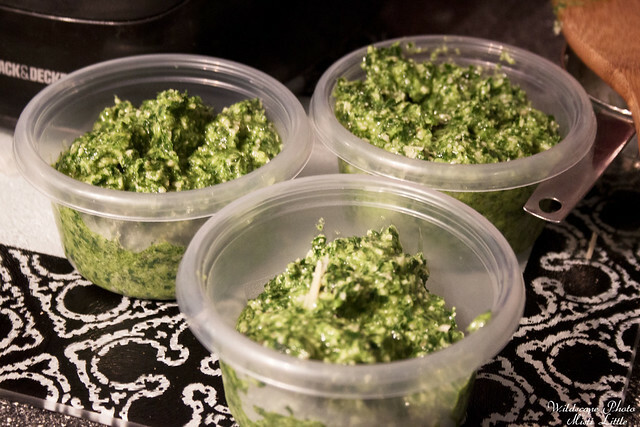 I definitely recommend trying some pesto made with collards sometime; I think chard or kale would be nice as well! Not sure I would like this taste! You are so brave about tatting new stuff.